Crowded, crooked teeth can inhibit you from expressing your full emotions and letting the world see your dazzling smile. If the thought of metal braces makes you wince, Hailun Wu, DMD, of Greenwood Smile Dental in Seattle offers the advanced treatment technology of Invisalign® clear aligners. The Invisalign system gives you straighter, more perfectly aligned teeth without the inconvenience – or the blatant visibility – of braces. Call the office or book online to learn more about this alternative to traditional braces. The Invisalign system gently repositions your teeth using a series of custom-made clear trays that fit over your teeth. You wear each set of aligners for a week or two at a time for 20-22 hours a day, removing them to eat, drink, and brush your teeth. Each set of aligners applies just the right amount of pressure to your teeth to gently move them into their desired position. Typically, you visit Dr. Wu every 6-8 weeks so she can check your progress and see how your teeth are moving. 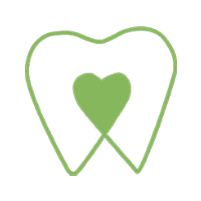 Invisalign clear aligners work well for adults and teenagers who desire straighter teeth without the hassle of metal braces or frequent visits to the orthodontist, as is common with traditional braces. As long as you’re willing to wear your teeth aligners during the day and at night, except for when you’re eating, drinking, or brushing your teeth, then you could be a good candidate for the convenience of the Invisalign system. Additionally, Invisalign clear aligners might actually straighten your teeth faster than traditional braces. It depends on your individual teeth and the severity of the problem you’re correcting, but on average Invisalign treatments work in just 12-18 months. And, you’ll begin seeing results in just a few weeks after starting with Invisalign. Once you’ve reached the end of your treatment, Dr. Wu often recommends wearing retainers to prevent your teeth from gradually shifting out of position again. If that’s the case, you wear custom-made retainers for a short time after your Invisalign treatment. 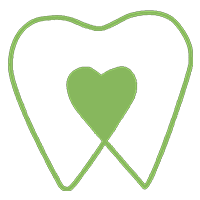 To find out if you’re a good candidate for Invisalign clear aligners, call to schedule a consultation, or use the convenient online booking tool.